記者：Lastly, when you walk off this floor, take off the uniform for the last time, what would you have left down here on the court? 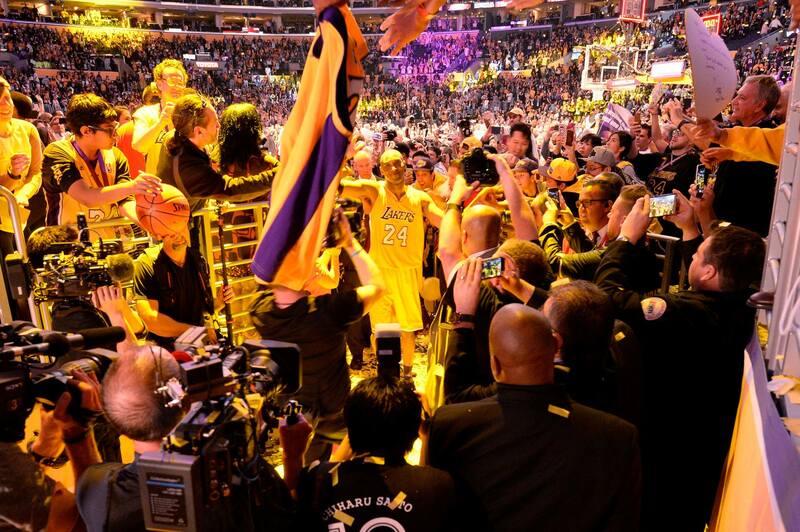 Kobe：My heart and soul. I gave everything I could possibly could to the game, so that’s why I’m… so comfortable walking away from it. I mean I have bear my soul to this game, there’s nothing… there’s no stone left unturned. And so… you know I left it all here… and when I go to sleep tonight, I am just gonna… thank God for this beautiful opportunity, continue to thank my family, and just spend as much time as I can with them and enjoy the future.